Notebook e computer portatili SO Windows 10 S Dimensioni schermo 13"
Fujitsu LifeBook S762 Core i5 13,3" RAM 8 GB - B. Fujitsu LifeBook S762 Core i5-3320M 13,3". i5-3320M RAM 8GB HDD 500GB Windows 10 Pro. Processore - Core i5-3220M. Hard Disk - 500 GB. Sistema Operativo - Windows 10. Das Acer One 10 S1003-13ZD 2-in-1-Tablet verfügt über das Windows 10 Betriebssystem, einen Arbeitsspeicher von 4 GB, einen Kartenleser, sowie die HD Displayauflösung. Egal, ob Sie arbeiten oder sich Videos mit Freunden ansehen, das Acer One 10 bietet einen Modus dafür. Storage principale: 128 GB SSD. Sistema operativo: Windows 10 Pro 64-bit Edition. Tipo prodotto: Notebook - con tastiera staccabile. Tutti i nostri Prodotti sono Nuovi e di Qualità Certificata. Interfacce: Uscita cuffia ¦ USB-C 3.0. Scopri Ideapad 720s: ultrasottile e ultrapotente. Infilalo in borsa e lavora o rilassati ovunque. Scarica film, archivia foto e video e tanto altro ancora. In particolare, Cortana funziona su tutti i dispositivi con Windows 10, per un'organizzazione senza precedenti.Nitidezza e luminosità senza paragoni con bordi sottilissimi Godi di una grafica straordinaria quando riproduci un video, guardi la tua serie TV preferita o sfogli foto online. Lenovo IdeaPad 720s 13.3" SSD Laptop AMD Ryzen 5, 8GB RAM, 256GB SSD, Windows 10. Arbeitsspeicher-Größe: 8 GB. 80 Lautsprecher. Festplatte 1: SSD, 256 GB. 1 Lampen & Leuchten. Fahrzeugbatterien“ sind Batterien, die für den Anlasser, die Beleuchtung oder für die Zündung von Fahrzeugen bestimmt sind. Experience the next revolution in computing with the Acer Aspire S3 Ultrabook. Enjoy instant and enduring gratification, sharp performance featuring instant on, quick connectivity, and long battery life in a breath-taking, ultra-aerodynamic design. Model Latitude 13 3380. Storage 128Gb SSD. These are actually Dell Outlet kit and refurbished by them to their high standards, but bought with NO warranty option. In mint Grade A condition and supplied with Genuine Dell AC adapter. Modellbezeichnung : Lenovo IdeaPad 710S-13ISK 80SW. Lenovo IdeaPad 710S-13ISK. Notebook Lenovo IdeaPad 710S-13ISK 80SW. Arbeitsspeicher: 4GB RAM. Laufwerk: Keine. Touchpad und Tastatur fast ohne Abnutzungsspuren. 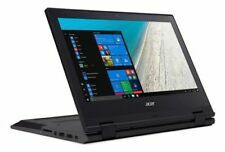 Acer Aspire S7-391 Portatile Windows 10 Core I5 Webcam 4gb Micro HDMI 13.1 "
La tecnologia Wi-Fi consente di accedere a internet wireless a casa, ufficio, college e hotspot in ristoranti, Alberghi, aeroporti. Questo portatile ha stato ripulito, testato, ristrutturato. È una scelta eccellente per ufficio, a casa o a scuola / all'Università. Lenovo IdeaPad 710S-13ISK. Modellbezeichnung : Lenovo IdeaPad 710S-13ISK 80SW. Notebook Lenovo IdeaPad 710S-13ISK 80SW. Arbeitsspeicher: 4GB RAM. Tastaturlayout: QWERTZ Deustch. Touchpad und Tastatur fast ohne Abnutzungsspuren. Model Latitude 13 3380. Storage 512Gb SSD. These are actually Dell Outlet kit and refurbished by them to their high standards, but bought with NO warranty option. In mint Grade A condition and supplied with Genuine Dell AC adapter. ASUS E403S 13.3". 1x ASUS E403S. As part of the sale you"ll receive. Available in 33cm and 35.6cm (13 "and 14") screens, it's much flatter and lighter than the 520S. The IdeaPad 720S is impressively flat. Download movies, pictures, videos and more. Like a cut diamond, the IdeaPad 720S features sleek details and beveled bezel edges to make it even flatter than it already is. ModelProBook 4330s. Hard Drive Capacity320GB HDD. 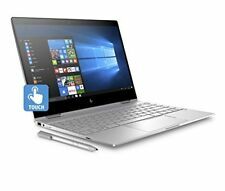 HP LW820EA#Win10Pro. Headphone OutputYes. HDMI PortYes. VGA PortYes. AC AdapterIncluded. Optical DriveDVD±RW. Modellbezeichnung : Lenovo IdeaPad 710S-13ISK 80SW. Lenovo IdeaPad 710S-13ISK. Notebook Lenovo IdeaPad 710S-13ISK 80SW. Arbeitsspeicher: 8GB RAM. Prozessorgeschwindigkeit: 2,3 GHz. Touchpad und Tastatur ohne Abnutzungsspuren. You can even set the reader up to allow multiple users to log in to their personal accounts. Now, you can load multiple programs and large files in a snap. Thin, light, quiet and versatile. Now, even across multiple devices, you can get more things done, more quickly, more smoothly. 1920 x 1080 FHD display. Excellent condition. i7-8550U at 1.8GHz. Lenovo IdeaPad 510s 13.3" Full HD Laptop, Intel Core i3, 4GB, 128GB SSD, Wind 10. Medion Akoya S3409 13.3" SSD Laptop Intel Core i3, 4GB RAM, 256GB SSD, Win 10. Touchscreen laptop. KeyboardAlcantara fabric keyboard. Box contents- Microsoft Surface 13.5" Touchscreen Laptop. Screen size. Touchscreen10-point multitouch screen. Screen typeCorning Gorilla Glass 3. Samsung ATIV Book 9 Ultrabook Quad-Core 1.4GHz 4GB 128GB SSD USB3 HDMI 13.3"
Samsung ATIV Book 9 Lite 905S. Storage type Solid State Drive (SSD). Make: SAMSUNG ELECTRONICS CO., LTD. Model: 905S3G/906S3G/915S3G/9305SG (SAMSUNG SENS Series). Processor Quad-Core Processor (up to 1.4GHz), 1000 Mhz, 4 Core(s), 4 Logical Processor(s). Leggero laptop da 1.3 kg. 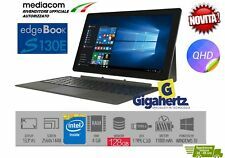 Con una CPU Intel Core i5 da 1.6 Include Intel UHD 620 Graphics e Windows 10 Pro (VFY: T9380M45S1GB) - Il tablet FUJITSU LIFEBOOK T938 è un versatile 2 in 1 che soddisfa le esigenze dinamiche dei professionisti mobili di oggi. La sua sicurezza di livello enterprise, il design leggero e ultrasottile con custodia in magnesio durevole, ti consentono di essere sempre produttivi. Un semplice tocco del super nitido, girevole 33.8 centimetro ( 13.3 pollici) Il display FHD con supporto per penna e touch è tutto ciò che serve per passare dalla modalità tablet a quella notebook. Tablet e notebook in uno Sfrutta al meglio il tuo 2 in 1 scattando una foto veloce, riprendendo video chiave o facendo più video chat ... *** TAP PER DESCRIZIONE COMPLETA E SPECIFICHE ***. Asus Zenbook S 13.3" Light Weight Ultrabook Intel Core i5-8250 8GB RAM 256GB SSD. Sony VAIO VPC-S13L9E 13.3" - i3 M370 2.40GHz 4GB RAM 320GB HDD - WIN 10. Hard Drive 320GB. 24 Hour Dispatch. OS Windows 10 Pro. Warranty starts the date you received your item. 1x SD Port. 1 x HDMI Port. Storage 128GB SSD (Solid State Drive). AMD Quad-Core. AMD Radeon Graphics. AMD A6-1450 Quad-Core 1.40GHz. Graphics AMD Radeon HD 8250 Graphics. 100% genuine products. Windows 10. We take pictures of each item (so you know the exact condition of the item you are buying). AMD Radeon HD 7400. AMD Radeon HD 7400M. Storage 500GB HDD (Hard Disk Drive). Display 13.3" Sony HD Display. 100% genuine products. Windows 10. Add Us to Favourites. fully tested to the highest standards. Storage 500GB SSHD (Solid State Hybrid Drive). Touchscreen Ultrabook. Nvidia GeForce GT 735M. 500GB Hybrid Drive. Nvidia GeForce GT 735M (1GB Dedicated). Acer Aspire S3. Audio Acer 3DSonic Stereo Speakers. Windows 10. Optical Drive 13.3" Full HD Display. Screen Size. Display 13.3” FHD (1920x1080) display with wide-angle viewing. 512 GB PCIe SSD. Battery life varies significantly with settings, usage, and other factors. Headphone/mic combo jack. 16 GB LPDDR3. BIOS Checked. Storage 128GB SSD (Solid State Drive). AMD Quad-Core. AMD Radeon Graphics. AMD A6-1450 Quad-Core 1.40GHz. Graphics AMD Radeon HD 8250 Graphics. Samsung Ultrabook. 100% genuine products. Windows 10. 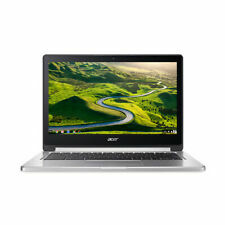 Acer Aspire S7 Ultrabook Laptop (391-53314G12AWS). 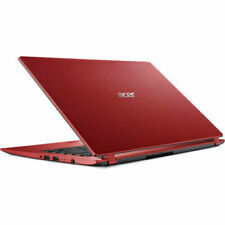 Acer Aspire S7 Ultrabook Laptop. 128GB SSD Hard Drive. 4GB DDR3 SDRAM. 13.3" Touchscreen (Touch support for 10 inputs). Wireless: 802.11a/b/g/n, Bluetooth 4.0. ASUS ZenBook Flip s UX370U. i7-7500U|16GB |512 GB SSD|350 Flip|. Storage Type: SSD. Audio:ASUS Bang & Olufsen ICEpower, ASUS SonicMaster Premium, harman/kardon stereo speakers. 256 GB SSD. Surface Connect x 1. - Microsoft Surface 13.5" Laptop. Alcantara fabric keyboard. 10-point multitouch screen. Screen size. Screen type. - AC power adapter. ModelDell Inspiron 13 5378. Ports1 - USB 3.0 w/PowerShare ,1 - USB2,1 - HDMI,1 - headset jack,1 - Noble lock. OSWindows 10 Pro 64Bit. We advise you to fully inspect the product upon arrival to allow queries to be dealt with as soon as possible. KEYBOARDS & MOUSE. ColorBlack Palmrest / Silver Lid and trim. OSWindows 10 PRO 64Bit. We advise you to fully inspect the product upon arrival to allow queries to be dealt with as soon as possible. Check the condition of the product and that it matches the specification you ordered. General signs of use as expected due to age, small crack on top right screen bezel (does not affect the laptop operation), and the front of the case doesnt seem to clip together at the front (could be glued). Notebook e computer portatili SO Windows 10 Dimensioni schermo 13"
Notebook e computer portatili SO Windows 7 Dimensioni schermo 13"
Notebook e computer portatili SO Windows 10 S Dimensioni schermo 14"
Notebook e computer portatili SO Chrome OS Dimensioni schermo 13"
Notebook e computer portatili SO Windows 10 S Dimensioni schermo 11.6"